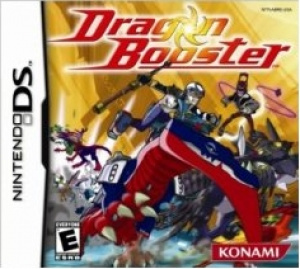 Sorry, no review of Dragon Booster yet. Based on the popular animated series airing on ABC Family and Toon Disney, Dragon Booster is a fast paced 3rd person racing/action game set in a fantastical world where humans and dragons co-exist. Beau, a legendary dragon, chooses Artha Penn to be become a mythical hero known as the Dragon Booster to help unite humans and dragons once and for all. Play as Artha or his crew and race incredibly fast dragons, collect gear to make them stronger, and release the hero within!